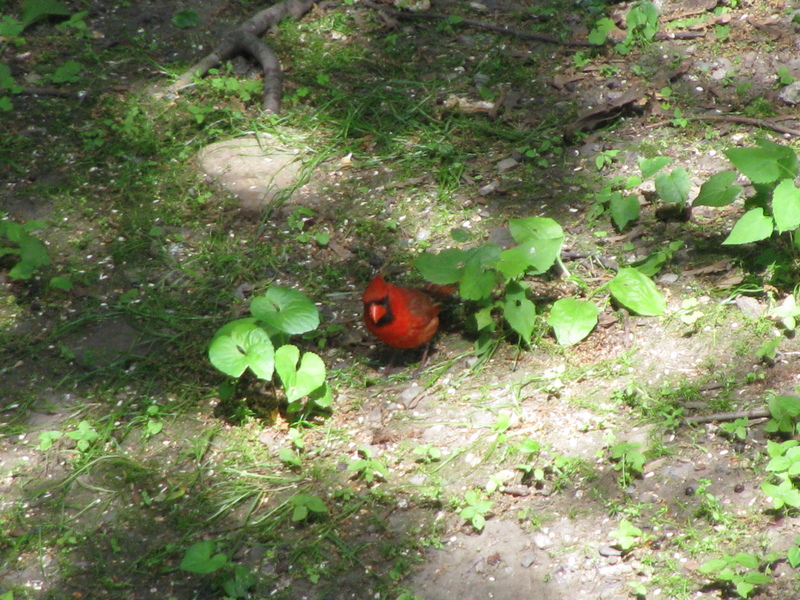 I spent countless hours when I lived in Boston trying to get a decent photo of this cardinal. Sad to say, this is the best of the bunch. I think he’s laughing at me. This entry was posted in Travel Photos and tagged 50 Year Project, Birds, Blog, Blogging, Boston, Cardinal, Massachusetts, Nature, Photography, Travel, Travel Blog, Travel Journal, Travel Photo. Bookmark the permalink. Are you sure he didn’t fall off the Christmas Tree? Cardinals are so hard to photo. I think you got a good one there. My mom always gets one red cardinal by her bird feeder and it’s very elusive. I have yet to get a shot of it!!! Keep trying. I should make a collage out of all the close calls–a tail or a wing here and there. I grew up with cardinals in Michigan–swam for the Cooley Cardinals in high school! I do miss them, as there are no cardinals in Seattle. They are adorable and I love their sneaky side. I think he’s camera shy but actually posing for you there. What a cutie!! I agree, I think sometimes when you try to photograph birds they think “This stupid things on 2 legs can’t even fly and then they want to come nearer and nearer! : or something like that! They don’t make it easy, that’s for sure. great pic I and my computer have both been receiving care and attention and I am pleased to say I can now read and comment again. Long may it last……. Glad to hear it. Let’s hope it lasts! Aww bless i love animals! I did a post just like this one!! We have a pair of cardinals, Mr and Mrs., attending our feeder just feet from our window where we have breatkfast/lunch – actually, yesterday a second Mr. showed up – and we are constantly trying to capture these skittish fellows. It is a fun project, but can get frustrating. They are skittish and so beautiful. And they seem to have loads of personality! those in my yard come right on to the porch. the babies are an amazing shade of green. their crest’s or whatever you call the crown of their heads are unruly and hilarious. they’ve very sweet birds. they mate for life and share the baby rearing. lovely little birds.